We were out of the hotel by 8:30 and within two hours were in Titusville. We had scoped out possible viewing sites and had a scoped out plan. Favorite sighting on the way in .... this really big sign on the front entry of a building. We figured it had to do with something locally political, however, got a great chuckle. 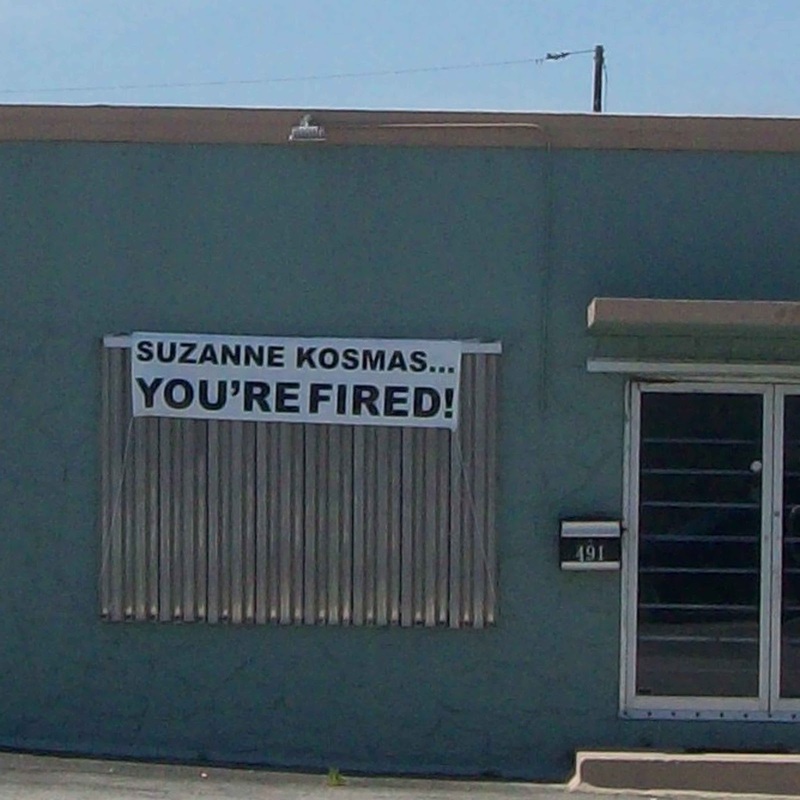 In these times of cutbacks, could there be anything more cruel, albeit efficient, than just posting a sign for the 'fired' person. Like, don't even bother getting out of your car ... it's over. Looked it up online, and yep, politics .. a senator I believe. 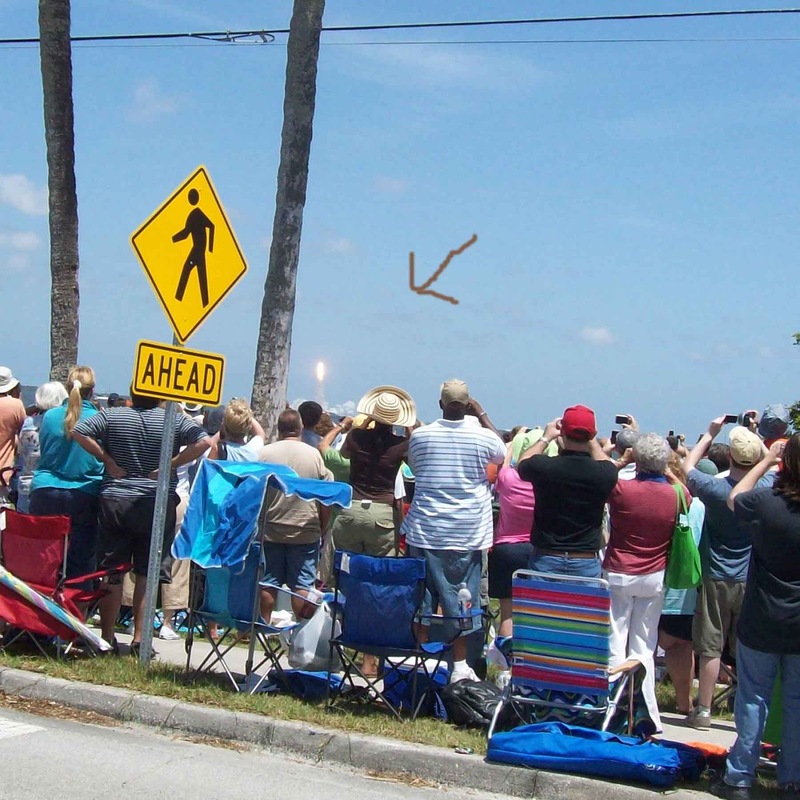 We'd decided to view the shuttle launch around Space View Park. We arrived in perfect time to land into a great, and close, parking spot. We had our chairs set up by 11am and were settled in to wait for 2:20. 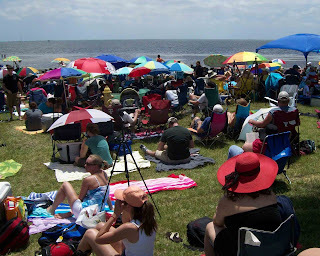 The atmosphere was enjoyable, lots of people of all ages gathering, chatting, having picnics, and waiting, together. Then, it was time, alot of ohhh and ahhhs as it went up and then the noise caught up and within three minutes, it was over, with only the contrails remaining. The ohhs and ahhhs then changed to Wows and Spectaculars and, in waves, we all trekked back to our cars to join one really huge traffic jam (As people were watching this over a 25+ Mile stretch). SPECTACULAR. If you are interested in seeing the real thing, you can download the actual launch from this Nasa site ... again, Incredible. Then, check-in to another hotel, dinner at Carrabas, relax a bit and get ready to start on Day 3 first thing tomorrow. um, what's the shuttle's destination? pls don't say outer space! tried to watch the links but no go. Great pics. I live in South Florida, so I had set my watch alarm for about 2:17pm to remind me to go outside and look northeast. If it's a clear day, normally we can see the booster trail from the shuttle, but no luck this time. 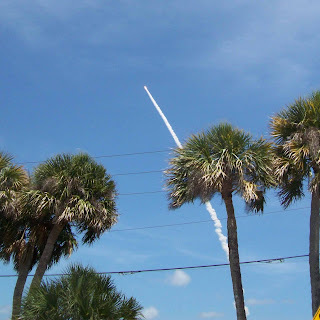 We're talking about making it up to Cape Canaveral for one of the next two launches since they will be the last ones. It would be a shame to miss out on such a great opportunity since we live in the state! Thanks for sharing. Fabulous pictures! How fun to watch it live. I love the way the air pressure comes across the waterway & hits you like a ton of bricks, then passes by & rattles all of the windows behind you. So cool. 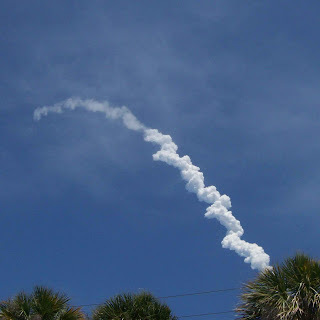 I've got a shot of one of my launch pix (from years ago,) here, if you're interested.